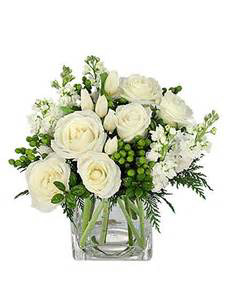 Lavish White roses with green berries. 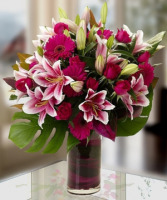 A lovely addition to any occasion. 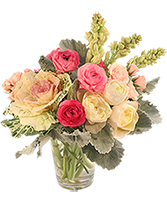 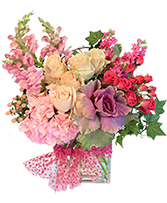 Fill To Value, White Roses, Green Berries, White Spray Roses, Stock Or Snaps, Greens, Clear Cube.